This Read the Label Interview is a very special one (all of them are special) because I was blessed with the opportunity to interview the founder of TheBeeShine.com. 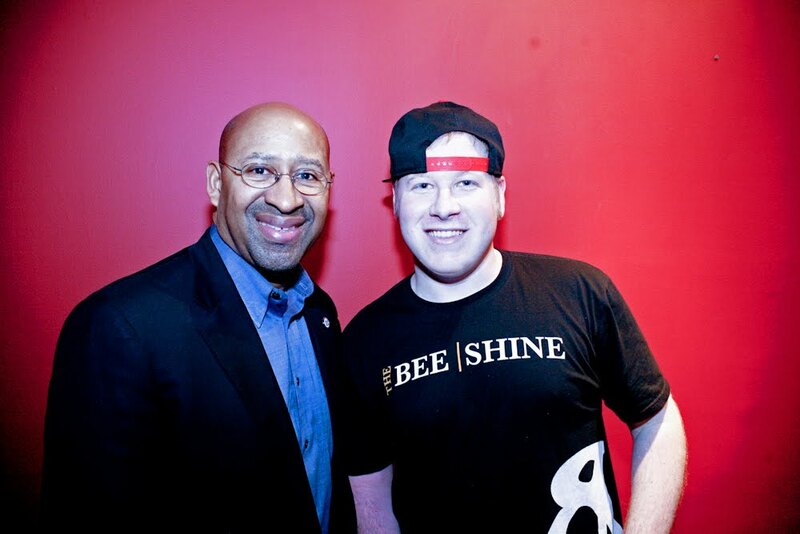 TheBeeShine is responsible for interviewing a plethora of hip-hop personnel. I learned that TheBeeShine is an one man operation. Of course this peaked my interest, especially since I promote Do It Yourself artistry. Below you will get a chance to get acquainted with TheBeeShine and learn the art of conducting an awesome video interview. Check out vision statement from TheBeeShine below. The vision of TheBeeShine is to capture inspiration from hip hop pioneers, golden era artists, contributors, and quality hip hop artists today. This includes DJs, emcees, producers, b-boys, graffiti artists, and other influential figures that have helped shape the culture. Inspiration is a concrete foundation that brings meaning to our daily lives. Being a fan is a lost art. Thanks for supporting. When did you guys come up with the idea of capturing and preserving hip hop culture? TheBeeShine is actually an one man operation. I do the contacting, scheduling, traveling, filming, editing, and social media engagement. I came up with the idea once I had a camcorder in my possession. I’m an observer and have always been interested in what motivates others to tick. Everyone has a unique story to tell, so I try to trigger those thoughts. Hip hop was an easy lane, because I’ve been listening to and searching underground hip hop music for over 14 years. Groups like Gang Starr and Wu-Tang had a strong impact on me growing up, even though I didn’t directly relate to the lyrics. Seeing what the industry has become and the type of lyrics that “new” artists are writing is extremely disappointing, but it’s difficult to place blame on them. Kids in high school these days have never heard of Wu-Tang or Sugar Hill Gang. The first hip hop artists they hear are Wiz Khalifa or Lil Wayne. There’s a big disconnect between the new school and the old school. My goal is to educate fans on who has really impacted hip hop music from the beginning and who in the present day is carrying the culture’s tradition. 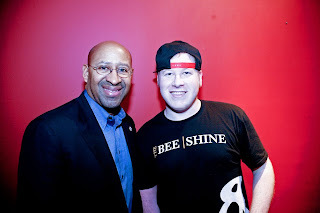 TheBeeShine has interviewed a plethora of hip hop personnel over the years. How do you guys determine who you will interview next? My hip hop collection is well over a thousand albums. I start with that list and figure out how to connect with the artist or manager. When traveling to different cities, I always ask local artists for referrals on who is respected for representing the culture. How long has TheBeeShine been in existence? In July 2010, I first began interviewing artists on a flip cam. Since then I’ve upgraded cameras twice. In those two years, I’ve interviewed over 800 artists from a dozen cities in the U.S. and have featured artists from over 10 countries around the world. I think that a lot of artists nowadays need visual exposure to remain relevant given the technological boom. Have you ever encountered artists that have turned down your exposure? There are artists who do not like being put “on the spot” for interviews. Everybody realizes the importance of constant visuals today, and it depends largely on the personality of each artist. Your ability to get artists to communicate is what made me an instant fan. TheBeeShine is known for presenting inspiration from the artist's point of view. With that being said, what Inspires TheBeeShine? What inspires me is people. We’re all humans that want basic things like happiness, and we get caught up with work, money, stress, insecurities, and other nonsense that makes us forget to enjoy ourselves. Seeing someone dedicate time and effort towards a goal, no matter how small, motivates me to make an impact as well. Please visit TheBeeShine.com for all the social media links. Thank you for supporting TheBeeShine and appreciating real hip hop as much as I do. Can you detail 5 Tips That will result in better interviews? 1. Be Personable – Introduce yourself and say something nice about the artist. You want them to feel comfortable speaking with you and sharing personal information. 2. Respect Their Time – Ask for the interview. Do not start recording once you are in front of the artist. If the artist does not have a few minutes, find out a better time or exchange information with management to schedule it. Patience goes a long way. 3. Ask Good Questions – Prepare well thought-out main questions in advance. You don’t want to be the average interviewer asking “so what’s new” or “what was it like working with so-and-so”, because you will get the same boring answers that every artist is sick of talking about. Think about the final product and how you want viewers to feel when they watch the interview. 4. Listen To The Answers – People feel good knowing that they’re heard and listened to, and this isn’t any different with musicians. Based on the artist’s mood or keywords from speech, you can find more substance and interesting topics to build spontaneous questions from. 5. Say Thank You – Thank the artist for his/her time and let them know you appreciate the few minutes of undivided attention. Be genuine, because they might just help you meet someone you’ve had trouble interviewing.